I have talked about this workout DVD a couple of times on my blog. 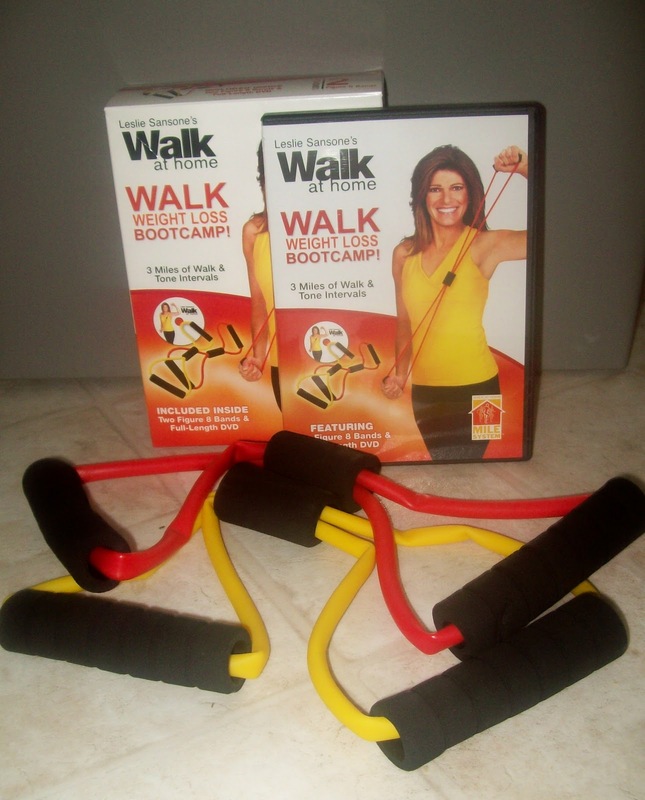 I absolutely love Leslie Sansone's Walking Workout DVDs. I own several of them. I am also looking forward to purchasing her Walk-Kick DVD Workout. I was so super excited to get this bootcamp work out....and after using it for over a week...I am extremely disappointed! The Music is so so repetitive...almost annoying. It is the same music she uses on most of her workouts. The work out is 45 minutes long. With three miles built into that 45 minutes. I didn't even feel winded or out of breath when I was done...and I also used weights. I did like the bands...but can do those exercises on my own without even going through the DVD. That was the only 'bright' side to this workout (IMO). I spent $14.00 to purchase 2 cheap looking plastic bands. I know Leslie Sansone can do much better than this. I must be more advanced than I thought....this *might* be a great workout for a beginner. I am keeping the bands but selling the DVD on eBay. I hope you all are having a fabulous Super Bowl Sunday! Who are you rooting for? I really don't care who wins. None of my 3 favorite teams are apart of the Super Bowl this time.